Feet can sweat very badly, creating a damp environment conducive to bacterial growth. Thus, infection and a nasty smell can be seen to show poor hygiene in this area of the body. Fortunately, there are many antibacterial ingredients that act as deodorants. This helps clean shoes, neutralizing unpleasant odors. 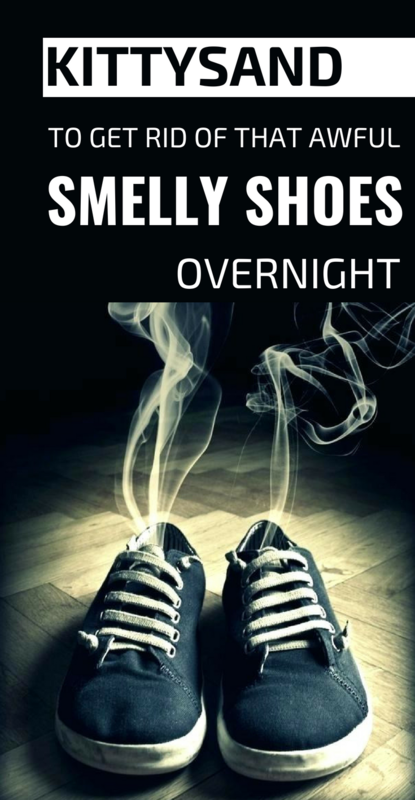 This trick to eliminate the unpleasant smell of shoes is not very known, but is very effective. Sand for cats absorbs moisture from the shoes, and it smells like new. 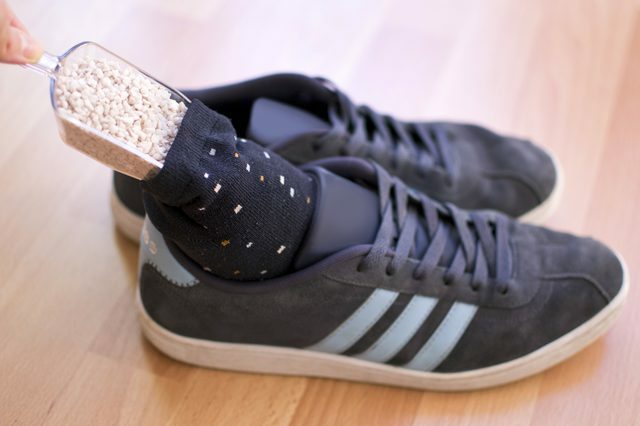 Fill two socks with kitty sand and put them in shoes. Leave the sand socks there overnight and repeat the procedure several times if necessary.